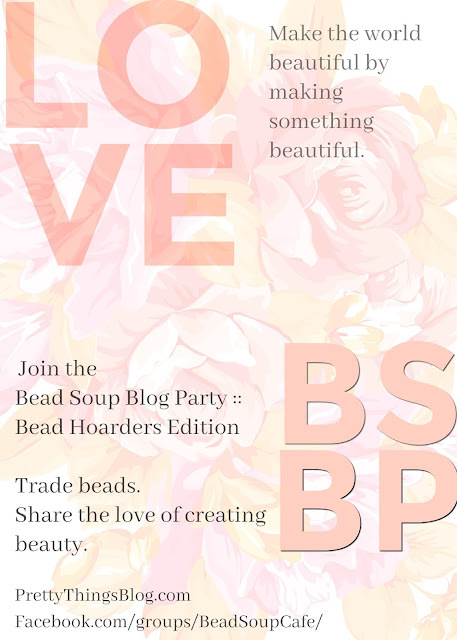 Pretty Things: Bead Soup Blog Party Sign Ups! 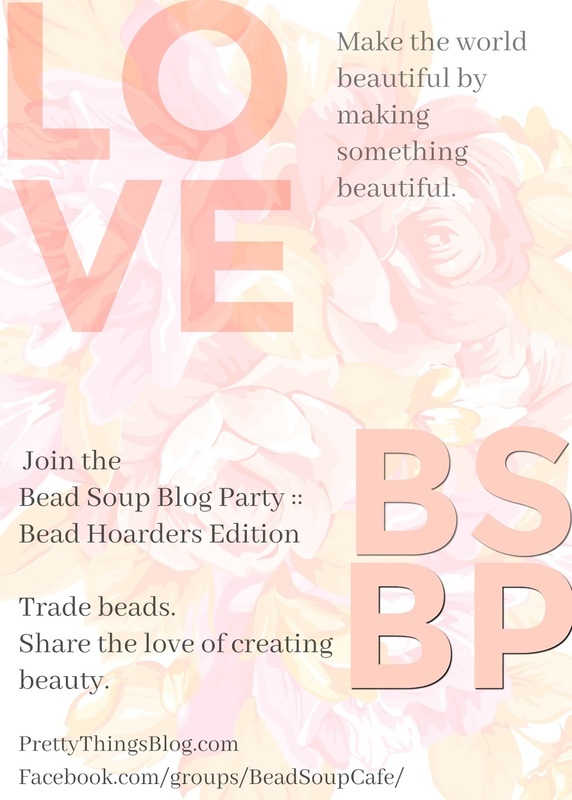 Does it have to be a bead we send or can it be a hand made pendant? Wish I wasn't too late. Not sure how to know when sign ups are open again - wondering I will have to wait a year. Hmmmmm Well, that's my Comment - lame as it is. Y'all have fun, ya hear? Awe! I did miss it. I look forward to seeing all the new pretty stuff though!! How many beads should we send? One if it's a pendant or focal type bead, is fine. Or you can send a set. Or you can send a focal and some coordinating beads. Your choice. No clasp is required. Darn! It looks like I am too late? I will have to follow your blog for the next one!